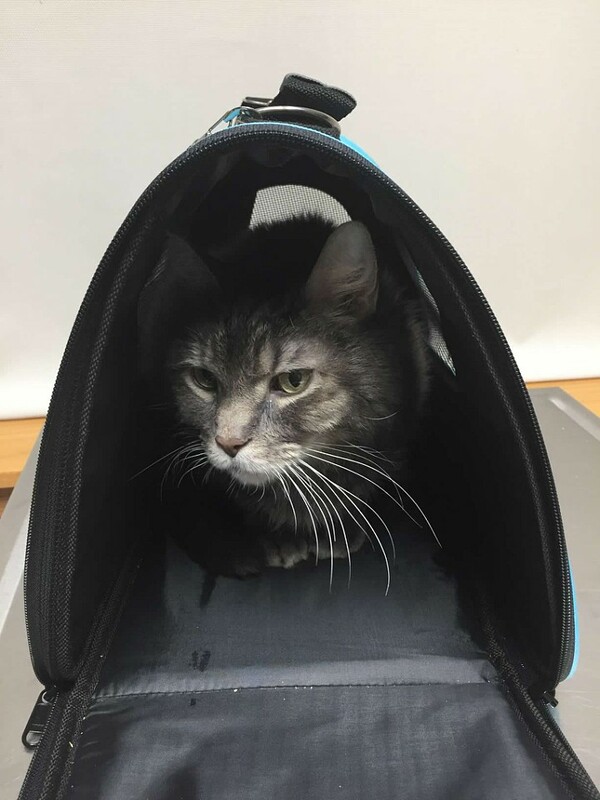 Brody had surgery on Wednesday, April 5th to attempt to remove two masses that were growing inside of him, a cancerous one in his bladder that had been getting bigger and a particularly hard-to-remove mass that was near his heart. I dropped him off that morning praying and trusting that all would go well. 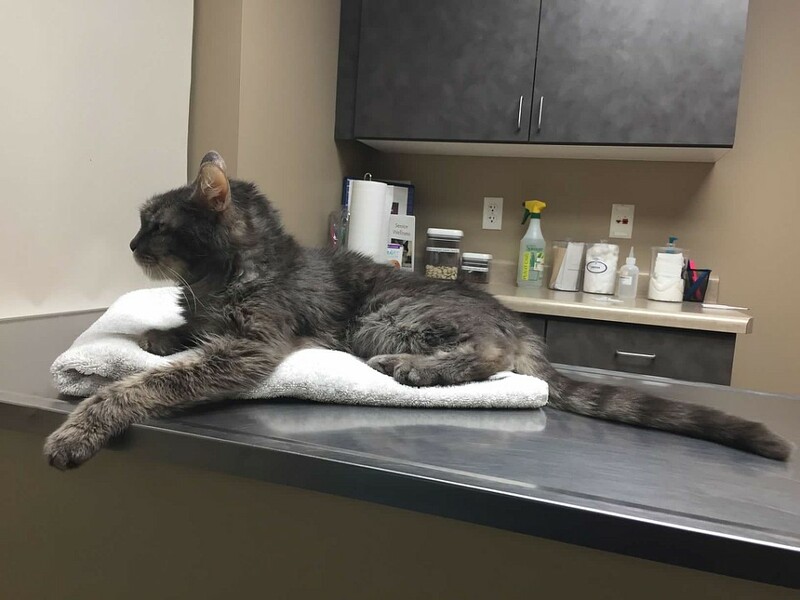 Mid-morning the vet called me during the surgery to ask if I wanted her to proceed to try and remove the mass near his heart. She said it was quite risky--riskier than they thought now that they could actually see it--and basically he had around a 50/50 chance of surviving the attempted removal. Those odds were much worse than I had thought they would be but I told her to go ahead and try to remove it, since they'd already gotten the other one out and this one near his heart could prove to be fatal if it remained. After that phone call I cried my eyes out and prayed my heart out that her hands would be guided by angels to successfully remove the tumor without it killing him. I felt devastated by the very real possibility that Brody might die and wouldn't be coming home, and that I wouldn't get to see him alive again, at least not in this life. I truly adore this mischievous, beautiful little cat and the escapades we've had with him ever since we brought him home in 2006. We got him and Bentwood from a shelter when he was just a few months old. He'd been rescued from the freezing wintry streets of Hartford, Connecticut. The rest of the litter had died but Brody survived. He's always been a fighter. I was so relieved to get a phone call from the vet a little while later saying that he'd survived the surgery, that he was a fighter (see! ), and that they'd do everything they could for him. I felt so thankful. The next few days were a roller coaster of ups and downs, because the next morning one of the vets called to say that he wasn't doing that well, but by the end of that day he was better. I visited him on both Thursday and Friday and by Saturday he was well enough to come home. After all of that, more than ever I didn't take his homecoming for granted and was so grateful to have him back. He was pretty out of it his first few days home because of the pain meds. I thought it was cute how he was curled up in the fetal position. 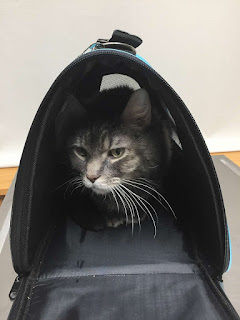 That Monday evening--five days after the surgery--I took him in for an emergency appointment because he wasn't eating well and he seemed dehydrated and overly out of it and I was worried about how he was doing. I'm glad I brought him in because they gave him some fluids and checked everything out. Fortunately he improved that week. "Take me home now please."